Lemont—With more than 80 percent of the community sold, residents of Ashbury Woods couldn’t be happier with their new home choice. They attribute their satisfaction to a wonderful location, a well-constructed, large townhome, and great customer service. Donven Homes is a leader in luxury home building, featuring spacious, unique floor plans, high-end features and sound, quality construction. The Spadafora’s also fell in love with the Lemont area. “I’m originally from New England and I really liked all the rolling hills in Lemont. We also enjoy the small town atmosphere, the historic downtown, as well as the pathway along the Illinois canal, which is perfect for biking and jogging,” Spadafora concluded. Spadafora isn’t the only one who feels they made the perfect move. Homeowner Diane Bonner lives with her two children in an Edgebrook model townhome at Ashbury Woods. “I was downsizing from a single family home in Lemont but still wanted a lot of space (including 3 bedrooms)and a comfortable floor plan. I looked at several different new home developments but immediately liked Ashbury Woods. From the moment I stepped into the sales center everyone was very welcoming. I liked the way everything looked, how I was treated and my choices of floorplans. Everything just caught me. I was hesitant to buy an inside unit because I was afraid there wouldn’t be enough light, but the layout was so open and airy, I feel like I live in a single family home. I have a lookout basement, lots of light and space, it’s wonderful,” Bonner stated. She also wanted to make sure she stayed in the town she has come to love. “Lemont is a really nice town. It is convenient to everything and that is why it was important to me to find a new home in the same town. Lemont sells itself. It has everything from little bungalows to million dollar ‘mansions’ – everything blends, there are no extremes. Ashbury itself is close to schools and stores – all my needs are within a five minute drive of my home,” continued Bonner. Buying a new home can be intimidating with so many choices and decisions to be made. Homeowners at Ashbury Woods couldn’t be happier with how the whole process worked. “Everyone I dealt with was great. They answered all my questions, from the sales people to Don and Scott Stevens themselves. They had a complete willingness to work with me. They figured a way to meet my requests. They listened to me. That is all in addition to giving me a really well-built home with many personal options,” Bonner concluded. Judy Skondill agrees. “I knew I was going to own a home from DONVEN before I ever bought one,” said Skondill. “When I owned a store in Indian Head Park, I had several customers that lived in a DONVEN community. They always sang the builders praises and talked about how happy they were with their homes. To me, that says a lot. When I was looking to move, I knew I was going to look for one of their communities. I was pleased to learn that they were building in Lemont because it had a reputation for being a really nice town,” said Skondill. “I couldn’t be happier with the entire process of building a new home or of the home itself. I was the first person who lived in the community, and I would see workmen all the time at other homes sites. I would talk to them on occasion and they would all say DONVEN doesn’t cut corners, that they use only the best materials and they enjoyed doing work for them. I knew I had made the right choice. There is always going to be a few minor problems with new construction and those problems were fixed quickly with 100 percent satisfaction. They are true to their word and I could not ask for more than that,” concluded Skondill. “Our success lies in our homeowners’ satisfaction. To hear how happy people are with their homes and the service they received is what makes all the hard work and planning worthwhile,” said Scott Stevens, vice president of DONVEN Homes. The floor plans at Ashbury woods include the Edgebrook, Dunhaven, Biltmore, and Carleton, two of which feature first-floor master suites. The Edgebrook offers a first floor master suite and is a classic all brick two-story with 2,425 sq. ft. of living space, including the optional bonus room, 3 bedrooms and 2 1/2 baths. It features nine foot ceilings, a large family room/loft overlooking a 2-story living room and dining room, a spacious island kitchen with a bright breakfast room, convenient first floor laundry room, two-car garage, full basement and exterior patio or deck. The first floor master suite has a tray ceiling, luxury bath and walk-in closet. The Dunhaven is an elegant “ranch” two-story home featuring 2,100 sq. 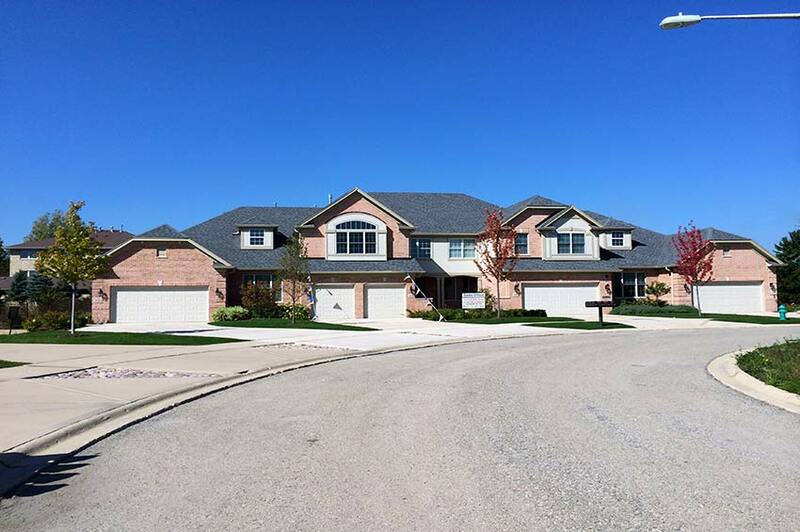 ft. with a first floor master bedroom suite, 2 additional bedrooms, 2 1/2 baths, large formal living room with volume ceiling, second floor loft overlooking vaulted ceiling foyer and dining room and a large gourmet kitchen with a corner breakfast room. It also has an end unit location with a private entrance. The Biltmore is a dramatic two-story home featuring 2,200 sq. ft. , individual living room, dining room, family room and 2 bedrooms plus a loft (3 bedrooms plus loft option has 2,450 sq. ft.) and 2 1/2 baths. The Carleton is a distinctive two-story home with 2,200 sq. ft. featuring a living room, dining room, first floor study and 2 bedrooms plus loft (3 bedrooms plus loft has 2,450 sq. ft.) with 2 1/2 baths. “In addition to these outstanding floorplans, our homes offer the ease of maintenance offered by all brick exteriors and aluminum clad wood windows. We also offer all the standard and upscale amenities necessary to satisfy all tastes and desires,” added Stevens. DONVEN’s Ashbury Woods allows homebuyers to have it all: spacious and bright single family floor plans; upscale amenities; mature trees; extensive landscaping and a prime location within the well-established historic and charming community of Lemont. 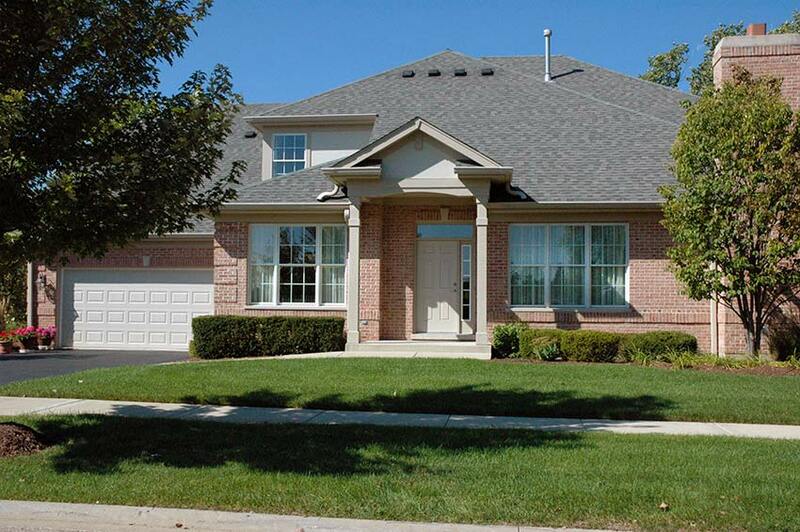 Ashbury Woods is close to shopping, dining, numerous golf courses, the I-55 and I-355 expressways and to a Metra train station. “We’d like to make more people satisfied homeowners, so please stop by today and let us know what we can do for you,” concluded Stevens. Ashbury Woods consists of 117 distinguished townhomes. It is the latest community by DONVEN Homes, known in the West and Southwest suburbs for distinctive architecture, careful attention to detail and quality construction. Visit the Ashbury Woods Sales Center and models located on 127th Street, 1/2 mile east of Lemont Road (State Street) or 1 mile west of Archer Avenue (Route 171). Open daily from 10 a.m. to 5:30 p.m.
For more information, call (630) 243-1110.